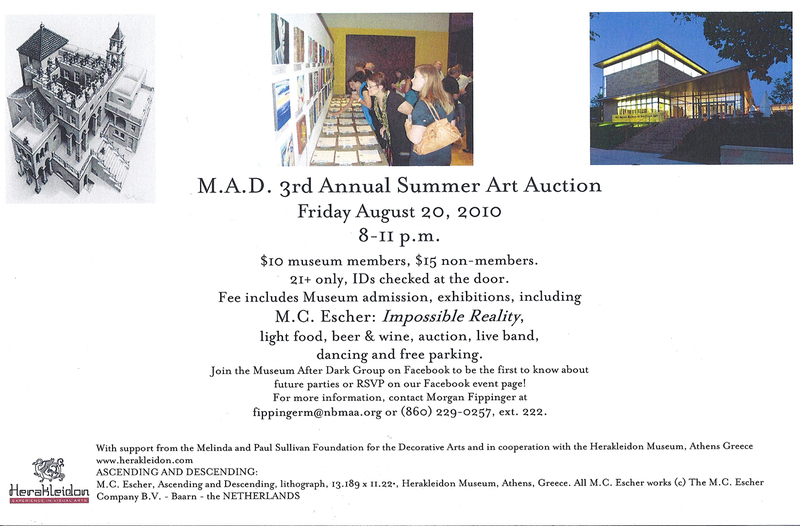 I wanted to let everyone know I will be at New Britain Museum of American Art’s M.A.D. event on the 20th of this month. There will be music, drinks, and food. The museum will be auctioning off 10×10 artwork from various artists. I have donated a still life to the museum for the occasion so please feel free to stop by and enjoy the fun.